An exculpatory clause relieves the borrower of personal liability to repay the loan. Thus, if the borrower defaults, the lender can look only to the property foreclosure for recovery of the debt. 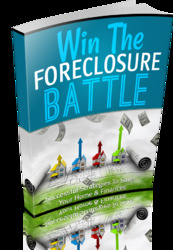 In effect, the lender may not sue the borrower on the note or obtain a deficiency judgment, if sale of the property at foreclosure does not provide sufficient funds to cover the loan's balance. Obviously, borrowers prefer to negotiate loans with exculpatory clauses, but lenders are usually unwilling to allow them. Probably the most frequent use of this clause is with investment property involving limited partners. In order for limited partners to claim tax depreciation on the mortgaged portion of a property, the general partners must have no personal liability for the mortgaged loan. This means all partners are considered to be "at risk" for the mortgaged portion of the property, and that the limited partners can claim depreciation on the mortgaged portion. To achieve this arrangement, the mortgage will have an exculpatory clause to relieve the general partners of any personal liability. How to negotiate exculpation clause mortgage loan?